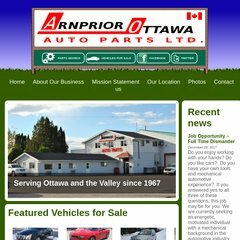 Topics: Vehicles For Sale, Mission Statement, Photos, and Featured Vehicles For Sale. Age: It went live on April 18th 1997, making it over 20 years, 11 months old. Bluehost Inc (Utah, Provo) is the location of the Apache server. Its IP Number is 66.147.244.222. ns1.bluehost.com, and ns2.bluehost.com are its DNS Nameservers.